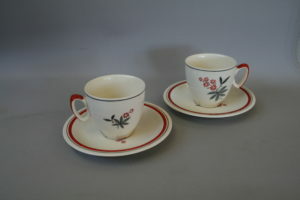 A pair of porcelain coffee cups. 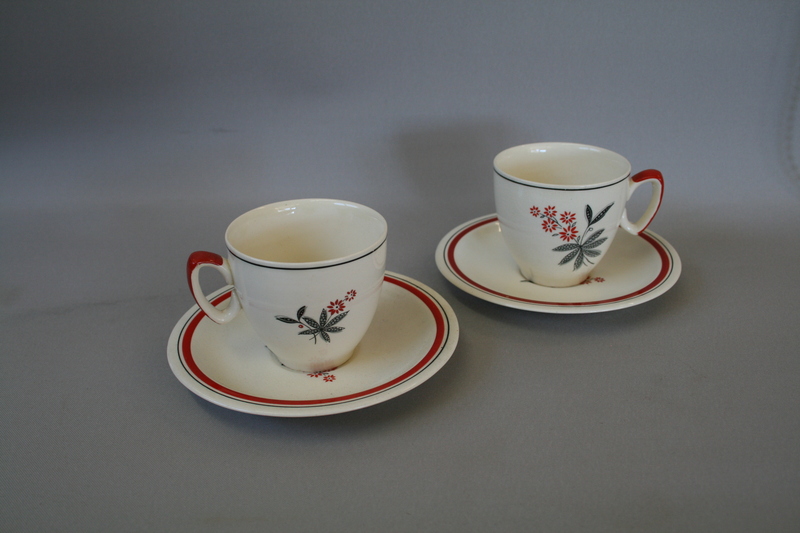 They have a cream background and red detailing to the handle and saucer edge. 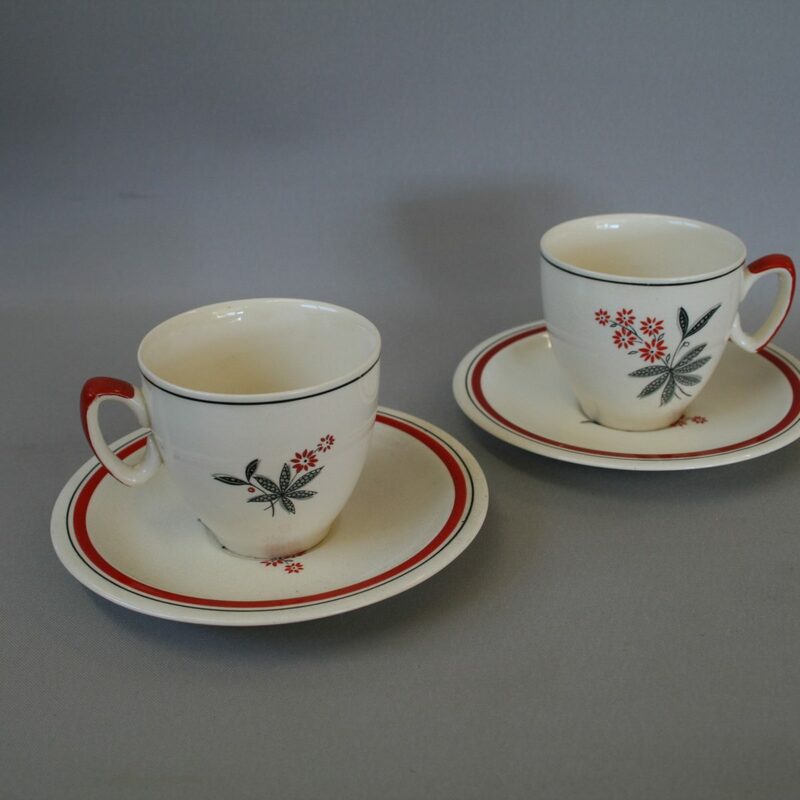 They have a black, grey and red floral design. 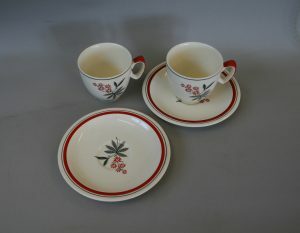 They are made by Biltons, Stoke on Trent, England and this is the Elegance design.